Welcome to Recycle Brevard's website! This website started as a local initiative to bring information to everyone interested in the 3Rs and try to motivate other people and organizations to reduce, reuse, and recycle. From a blog, this initiative grew into the 501(c)3 non-profit organization that it is today. On this website we share information and resources that should help you understand, learn more, know what is available in our community, and find out what is being done locally and globally in respect to the practice of the 3 Rs - Reduce, Reuse and Recycle. On our Facebook page we post information on projects and events related everything we do, and also share useful tips and topics relevant to our mission. We use other social media channels (Twitter, Instagram, Pinterest, YouTube) as a way to also disseminate information and ideas that you can apply to what you do. The success of our efforts depend on the support of others. Be part of the solution! Volunteer and Donate whenever you can. You are welcome to explore our site, “like” our page on Facebook, visit our other social media channels and, if you have any comments or questions, send us a message to info@RecycleBrevard.org. We would love to hear from you! Recycle Brevard started after a personal experience of our founder and president. In 2011, as her then six-year-old daughter watched a garbage collection truck pass by, the little one asked: “Where does garbage go?” That question became a learning opportunity and led them to a landfill tour to understand the garbage collection process in our community. During their tour, they learned that only 30% of Brevard County residents recycled. That was surprising - not in a positive way. Our founder, who was taking a Community Involvement class at the time, felt compelled to do something to try to change that rate. 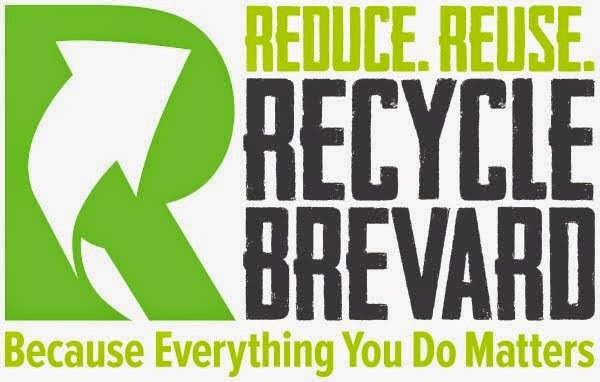 As a blog and a Facebook page, Recycle, Brevard! was born. It was a call to action; an invitation to make our community better. We do all this with the purpose of bringing awareness to the community. Some of those made the local news and we hope to get more coverage in the future to give this cause the well deserved attention and spring people to action!